The West Sussex Waste Partnership’s recycled plastic bottle Christmas tree is on its way to Chichester! On Saturday 17 November, the West Sussex Waste Partnership, Chichester District Council, and Chichester BID will be switching on the lights of the unique structure. Come along from 4pm outside Jack Wills, 40 North Street, Chichester, PO19 1LX. There will be carols sung by the Prebendal School choir and the waste prevention team will be on hand to answer any of your recycling queries, with the official ‘switch on’ of the tree to take place from 4.45pm. 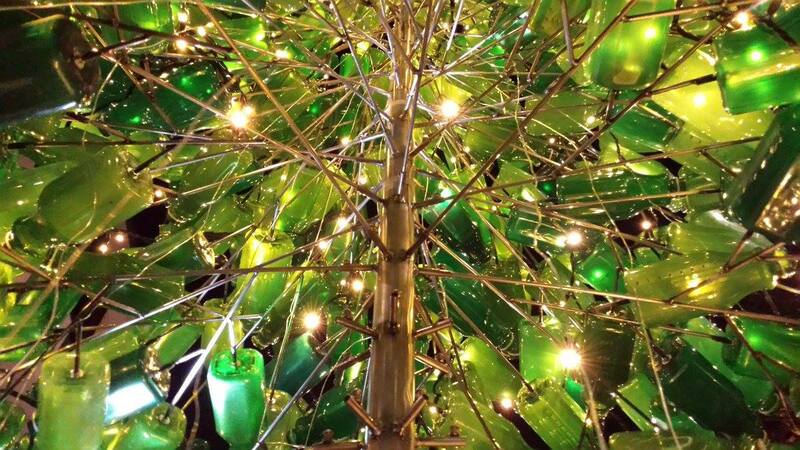 The five-metre-high tree is made from more than 600 reused green plastic bottles and was created by Tracey Graham, known as the ‘Rubbish Artist’. It is the fifth year the tree will have been on display around West Sussex. Nearly 2,000 tonnes of plastic bottles were thrown away in West Sussex last year. This equates to over two million per week thrown in the rubbish bin rather than being recycled. The West Sussex Waste Partnership hopes the tree will encourage people to reduce the amount of plastic they use, and recycle what they do use. Deborah Urquhart, West Sussex County Council Cabinet Member for the Environment, said: “The tree is a stunning feature and we hope will serve to remind people of the importance of recycling this festive season. “Whilst we would always encourage people to use less plastic where possible, it is also important that any plastic that is used – whether it’s bottles, pots, tubs, or trays – is recycled. For further information and advice on waste prevention and recycling please visit www.wastepreventionwestsussex.co.uk or follow @WestSussexWaste on Facebook or Twitter. Throughout December you can expect to see some great festive food facts, smart shopping ideas, ways to love your leftovers and freeze with ease to make your food last longer and go further. 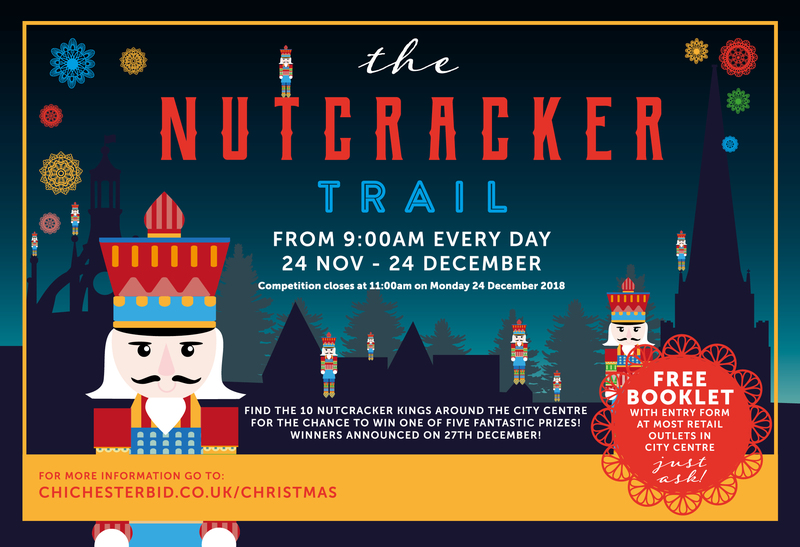 Join in the Chichester Nutcracker Trail!